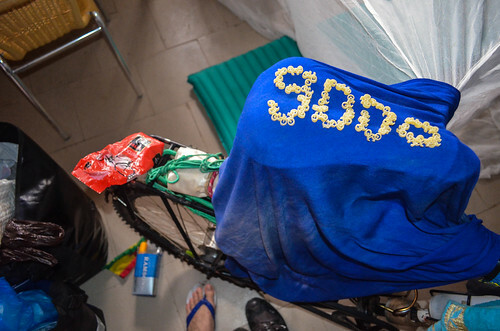 I reached the 9000 km milestone leaving Mboro this morning. Nothing special as I stopped at 8996 km before taking a long break. Instead of an achievement, it feels more like a re-start to lands of heat, mosquitoes and heavy rain, with Casamance and the two Guineas coming soon. 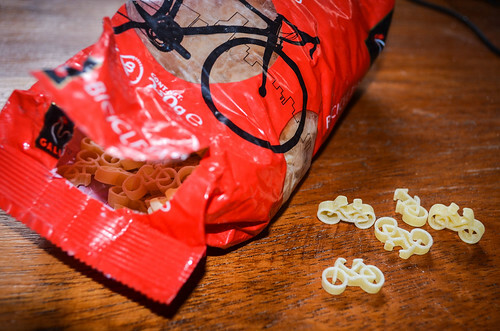 The special thing is that when cooking the leftovers from my food pannier, I discovered a packet of “backup pasta” in shape of … bicycles! I was carrying it since Spain. It was delicious.